Welcome to the Wrapped in Love and Luck challenge! The challenge has wrapped up (ha!) for 2016 - see the wrap-up post here. This challenge is full of only back carries and is designed to keep you busy during the slow winter days between Valentine's Day and St. Patrick's. You can find information on each day's carries here (so bookmark this page!) 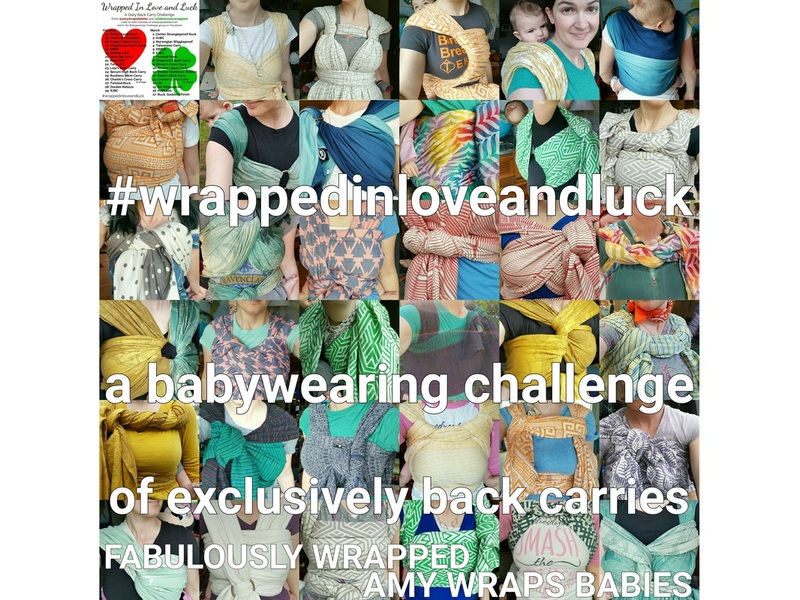 and in the Babywearing Challenge group on Facebook, or by following @amywrapsbabies and @fabulouslywrapped on Instagram. Also, check out our playlist on YouTube for all the video tutorials selected for the challenge. My partner in organizing this challenge, Fabulously Wrapped, has been publishing great blog posts with deeper thoughts on almost every carry in the challenge. I highly recommend the reads on her site: www.fabulouslywrapped.wordpress.com. Looking for the second running of the challenge? Click here.